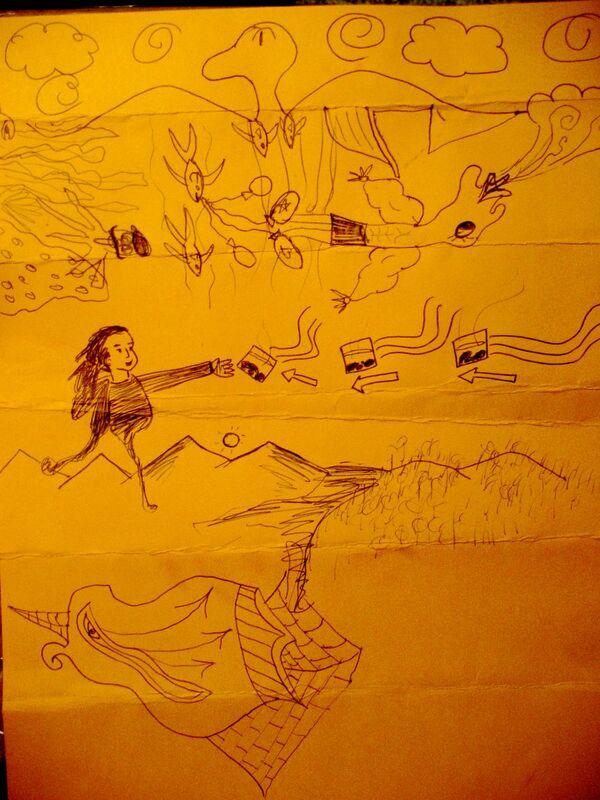 Have you ever participated in making an “exquisite corpse”? It’s an old surrealist game you can play with text or images. Here’s how it works: The first person writes a phrase or, in this case, draws something on the top of a page. Then, they fold the paper over so that only the bottom part of what they drew is visible and pass it on to the next person. The next person connects the visible lines to whatever they draw, and then fold over the paper so only the bottom of what they drew is visible, and so on.